About Us – DAVID J. LOUIE, INC.
David J. Louie, Inc. is a general agency serving producers as well as personal and commercial insurance customers. We are proud to be one of the largest Asian-owned independent insurance agencies in New York. David J. Louie, Inc. was founded in 1976 with the goal of providing individuals and businesses in the Asian community with expert insurance counseling and prompt, respectful service. In 1992, DJL extended its services to smaller insurance producers that come for assistance in fulfilling their clients’ needs. While we’ve grown and prospered within our original community and beyond, our goal remains the same: to help Asian and non-Asian individuals and businesses protect their assets with comprehensive and cost effective insurance coverage. DJL is led by Brooklyn-born David J. Louie Sr., a Vietnam veteran and community leader. Today, the agency has grown to an experienced team of over 40 members. To provide the best service DJL is open six days a week, ensuring that our clients talk to people, not a machine. In addition to attentive day-to-day service, we assist with reporting and monitoring claims. Our multilingual staff is fluent in a variety of languages: English, Spanish, Tagalog, Korean, Vietnamese and several Chinese dialects (Mandarin, Cantonese, Taishanese and Fujianese). DJL’s cultural sensitivity and language capabilities are important in providing expert guidance and support to an extensive range of Asian clients, insurance producers and other professionals. DJL’s experience, excellent carrier relationships and unusually attentive client service are available to any client or producer seeking knowledgeable and responsive insurance placement and support. We shall always do our best to merit your trust and confidence. DJL offers Commercial, Personal insurance as well as comprehensive specialty programs for businesses, professionals and professional organizations. At DJL we can “bundle” the most important Property and Liability coverage you need into a comprehensive package policy such as the Business Owners Policy (BOP). This customized protection for your type of business will be cost effective as well as eliminates gaps in your coverage. DJL represents numerous strong insurance companies, which allows us to provide our clients with comprehensive quotes for comparison, and ultimately, the best quote available. We are proud to serve more than 400 retail producers and 2,500 direct personal and commercial clients in the Northeast of the United States as well as the state of California. DJL has the knowledge of designing a thorough and cost effective insurance program for professionals. With our attention to coverage requirements and our binding authority, we are able to assist attorneys and their clients at business and property closings. The accounting professional has value our familiarity with the insurance audit and the pitfalls of improper payrolls and job classifications. Because we care about and share the success of our clients, neighbors, and business associates, we are actively involved as good citizens supporting organizations that strengthen the community we all share. David J. Louie Sr. was born and raised in Brooklyn, New York. In 1969, he enlisted in the U.S. Army. As a Vietnam Veteran, under the G.I. Bill of Rights he enrolled and graduated from Kingsborough Community College. 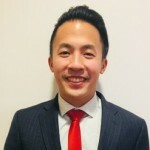 He began his career at an accounting firm in Chinatown, where he was exposed to the growing needs for insurance professionals in the Asian market niche. 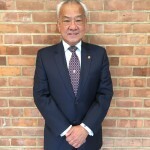 He entered the insurance business with no prior experience in 1976 and has devoted the last 40 years to serving needs of the growing Asian market in Chinatown and other neighborhoods throughout New York City and its surrounding areas. Mr. Louie is an active member of the community. He helped initiate the passing of a NYC law requiring employers of bicycle delivery persons to provide safety vests and helmets; a change that has helped prevent injuries and deaths across the city. He is the founding chairman of the Chinatown Partnership Local Development Corp (LDC), founding chairman of the Chinatown Business Improvement District (BID), founding member of the Chinese American Insurance Association (CAIA), and past Chairman and president of the Chinese Chamber of Commerce. Mr. Louie has also served as the Sergeant At Arms of the local Chinatown Kimlau Post 1291 of the American Legion since 1991 and as the National Sergeant At Arms of the American Legion in 2011. John Lim was born and bred in New York City, where he attended the New York City Public School system. He had the opportunity to attend college in the CUNY system as a student of Architecture and Environmental Studies from 1971-1976 at the City College of New York. John’s first exposure to the insurance world was a part-time employee during his high school years with Empire Mutual Insurance Company. His first full-time job in the industry was with NYPIUA in 1976. There he learned about Property exposures and Fire Rating. John moved on to work for the Dan Ross Agency in 1978. He developed his underwriting skills in both Property and Casualty exposures. This is when he met David J. Louie, Sr.
John Lim joined David J. Louie Inc. in 1987 as an underwriter and helped in the managing the office. He was appointed as Vice President in 1997. 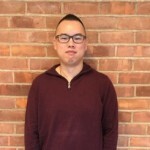 David Louie worked at David J. Louie, Inc. throughout high school and college. He graduated from Dartmouth College with a dual major in Economics and Asian Studies. He began his professional career interning as a licensed Life and Health Insurance financial representative for Northwestern Mutual. He went on to spend three years as a systems integration consultant with Accenture. He returned to school to obtain a Masters in Business Administration at the University of Chicago Booth School of Business. After graduating, he worked as a senior product manager for Amazon.com in Seattle, WA. In 2016, he returned to New York and rejoined the David J. Louie, Inc. team. Angela Wu is from Canton, China. 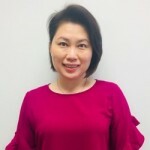 She graduated from TaiShan Normal School for Primary School Teacher Education in 1999 and also received Accounting degree from Guangdong Radio & TV University before coming to the U.S.
She continued her studies in Accounting at the Borough of Manhattan Community College, while working part-time at David J. Louie, Inc. After graduating in 2008, she quickly obtained her P&C broker license and has continued full-time with the commercial lines underwriting department. Belina joined David J. Louie, Inc. in 1999. She graduated with a Business Administration degree in Accounting in the Philippines. Prior to working with David J. Louie,Inc. she worked in another insurance agency for 10 years in New York City. As a licensed Property and Casualty broker, she is now a part of the Commercial Lines Underwriting Team. She speaks Mandarin and Cantonese. 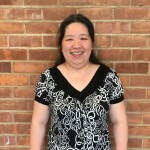 Betty originally joined David J. Louie’s Accounting team in 2007. During her time with the agency, she obtained her P&C license and transitioned to our underwriting team. She is now part of the Personal Lines Underwriting team with almost a decade of experience. Cyndi Chen is a New Yorker, raised here in NYC Chinatown. She joined the DJL team in 1989 while still in high school as a part-timer. She continued with DJL throughout high school and while attending Baruch College. After graduating, she joined the DJL team full-time, starting in the accounting department. After several years she transitioned to the underwriting team, and is now a Senior Underwriter on the personal lines department, as a licensed P&C broker. 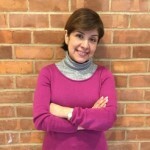 Elaine M. Feliciano was born in Guayaquil, Ecuador and came to the United States when she was 14 years old. She attended Hunter College, CUNY and studied Accounting. 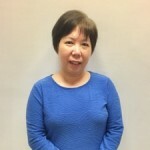 She has been with David J. Louie, Inc. since 1989 as the Accounting Dept. Manager. She is an avid reader and loves to see Broadway shows with her family. Greg Choi was born in Seoul, Korea but was raised in Miami, Florida. He has always had leadership qualities towards sales and service since he was a child. 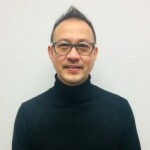 His earliest job experiences included his own after school car wash business during his early teens, and then partnering with his father to operate grocery stores in his late teens. In search of a faster pace lifestyle, he moved to NYC and joined the insurance industry. Since then, he has worked for both retail and wholesale insurance brokers and learned that all varieties of ethnicities, community associations and businesses all come together when needing insurance. He joined David J. Louie, Inc in 2011 and focused his goals towards commercial underwriting with diligent efforts to providing all clients with the best service they deserve. 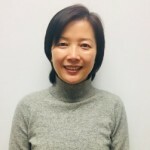 Jackie Wu joined David J. Louie Inc. since 2009. She studied accounting in Baruch College and began her career in licensing and compliance for Prudential. She moved on to do data warehousing for Oracle, and then transitioned to insurance through an underwriting position at Allstate. She has been working with David J. Louie, Inc. since 2009 and has been managing the personal lines team since 2015. Her passions are travel and her dog Cody. 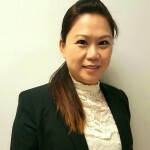 Joanna Tan has been with the David J. Louie Inc. team since 1996. 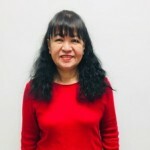 After working at the company for two years, she obtained her P&C license. Now, she is an underwriter in the commercial line department. 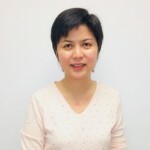 Born in Guangdong, China, Joanna currently resides in New Jersey with her family. Joey Alcantara was born and raised in Manila, Philippines. He was an undergraduate at the University of Santo Tomas. 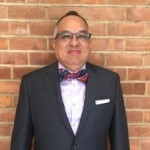 He came to the U.S. in 1996 and worked at the cafeteria in the World Trade Center for a year until he was given a chance to work with Benchmark, an insurance agency, from 1998 to 2002. He has been working for David J. Louie, Inc. in the commercial lines underwriting department since 2002. Keith Yeung was born in China but raised in New York City, Chinatown. 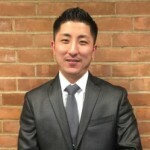 He joined the Accounting team at David J Louie, Inc in 2001 while attending Baruch College. He graduated with a finance degree. When not counting beans, he enjoys spending time with his family. Millie came to the U.S. when she was 13 years old. She has lived in Brooklyn for the entirety of her time in the U.S. throughout her education and her time with David J. Louie, Inc. To this day she considers it to be one of the most beautiful parts of New York City. She joined David J Louie, Inc. in 2006 and views that as one of the greatest decision she ever made. In her years with the company she has gained knowledge in the insurance field and currently specializes on the commercial lines team. Mowena Cheung is a Brooklyn girl – one of the traits that led Mr. Louie to hire her back in 1985. She considers it a magnificent experience to have seen the office grow from a team of 3 to over 40 employees. She currently works as a senior underwriter managing the Commercial Lines Processing team. 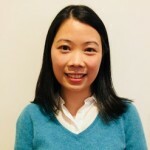 Sarah Lin is a licensed Property and Casualty broker. She started her insurance career in 2004, and joined David J. Louie, Inc. in 2008 while pursuing a business administration degree. After graduating in 2009, she joined the David J. Louie, Inc. team full-time with the Commercial Lines department. Sherry Mei was born in China and came to the U.S. in 1990. She graduated from Long Island Business Institute – Manhattan Branch. She began her Insurance career at Benchmark Management Group LLC as a junior underwriter in 2000, while continuing her insurance education at St. John University. She has been working for David J. Louie Inc. in the commercial lines underwriting department since 2003. 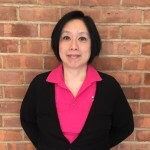 Shirley Lu joined David J. Louie, Inc. in 1998 and has been a licensed broker since 2000. She is married with twin boys. Shirley loves to spend time with her family during the weekend, travel, and loves to eat.